Kickboxing is one of the foundational elements of the MAX10 program and one of the most effective fat-burning/cardio workouts possible with a host of muscle building/toning benefits. It’s fun, it works quickly and you’ll leave sweaty, smiling and stress free. 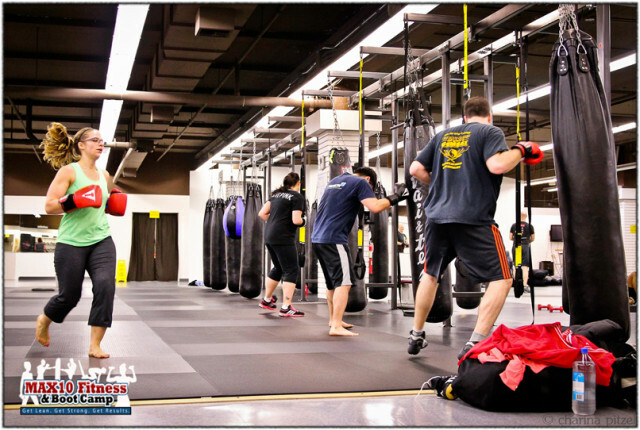 While many places offer aerobic kickboxing what makes our classes special is the variety of training employed and the authentic connection to real kickboxing and martial arts at MKG Seattle. Tons of heavy bag work but also focus mitt and Thai Pad, glove drills and much, much more.